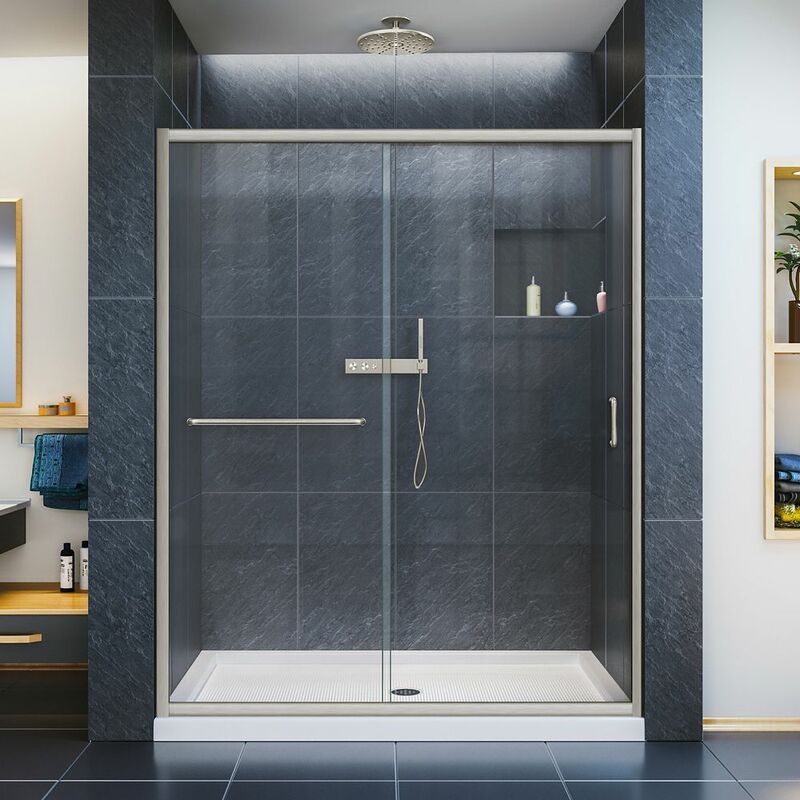 Infinity-Z 56-inch to 60-inch x 72-inch Semi-Frameless Sliding Shower Door in Brushed Nickel is rated 4.4 out of 5 by 120. Rated 1 out of 5 by Homeowner from Our previous glass door broke and we repurchased the same... Our previous glass door broke and we repurchased the same one. It didn’t fit this time (even double checked the measurements) and a huge pain to return. 0 stars! Rated 5 out of 5 by RBL from This system took me almost two days to prepare (cut), assemble and install but, other than handli... This system took me almost two days to prepare (cut), assemble and install but, other than handling the very heavy box it came in and the glass itself, it is not difficult. The directions were quite clear.